20th August 2009. 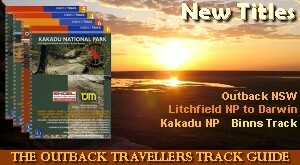 ExplorOz Poto Competition, DIY Project tag in Blogs, Best Destinations Poll Results, New Titles in the ExplorOz Shop, and a New Trek: Howes Valley - Yengo NP. 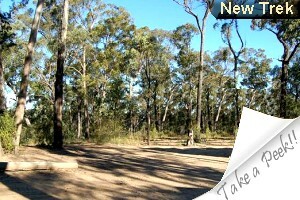 Welcome to another edition of the ExplorOz newsletter. What an interesting fortnight it’s been on the site with the Members' Photo Competition taking much of the limelight. Entries were open to Members for 8 days only, so we were thrilled to see a staggering 480 entries! Given the huge response, we had to develop an extension to our Blog system to enable viewing of photos only - so now when you click into a Blog by Tag, you can also click an option to "Jump to Images in Blog". Click here to see the Photo Comp Gallery. As this competition has now closed, and juding has commenced, you'll notice the first 26 photos display a title "Shortlist". This means you can quickly view the top 10 photos chosen by each of our 3 judges. As you can see, its going to be a hard task for the judges to select the top 3 representations of "ExplorOz" to be part of the ExplorOz Memorabillia Photo Canvas Print that is being created for the 2009 National Gathering. Come and view the whole gallery, and the shortlist. The winning 3 photos will be announced in the Forum next week and will be featured in our next newsletter. Due to recent feedback from one of our members, we added a new Tag to Blogs this week titled DIY Projects. We hope this solves any confusion of where to tag your stories of building your own cargo drawers, setting up a solar panel system, or building a Go-Kart (as inthis new Blog). Don't forget - you can send a link to your Blog pages to your family and friends and they don't need to be registered to view it. As someone said in the Forum last week, "ExplorOz is my Facebook". The Votes are in - from a selection of 15 popular touring regions, the top 6 destinations in Australia as voted by ExplorOz readers are: WA Deserts, Simpson Desert, Far North Queensland, Kimberley, Top End, and Red Centre. We now ask you to vote for the No. 1 destination in Australia with a new poll pinning these regions against one another. Which will it be? Have you say, in our new Poll. To vote, go to theforum and then click the polls tab. Now a GPS everybody's been asking for!! The "VMS Touring Series" Dual Mode GPS covers all bases, it navigates in the bush with topographic maps and in town with voice guided street mapping . Best of all, the top of the range model even boasts a massive 5” screen. A smaller 4.3" version is also available. All software is state of the art with the absolute latest features. Utilising 2009 Where IS street mapping and iTopo 1:250k off road maps, it is fast, accurate and user friendly. The VMS Touring is not just a GPS, it comes with reverse camera support too, very handy for 4WD’s and caravans. There is also a fabulous in dash model. So visit theVMS website for more details. 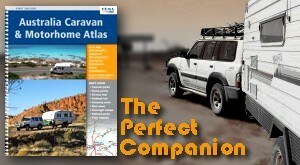 Includes a comprehensive selection of full color 3D maps and map data.